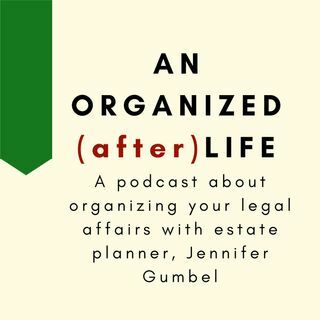 S2 E9: In Real Life Question, What Do New Adults Need To Know About Estate Planning? S2 E8: In Real Life Question, What Do You Mean The Will Doesn't Control Everything? S2 E7: In Real Life Question, Where Do I Put These Papers? S2 E6: In Real Life Question, What Should You Know If You're Considering a Trust? S2 E5: In Real Life Question, What Should You Know If You DIY?